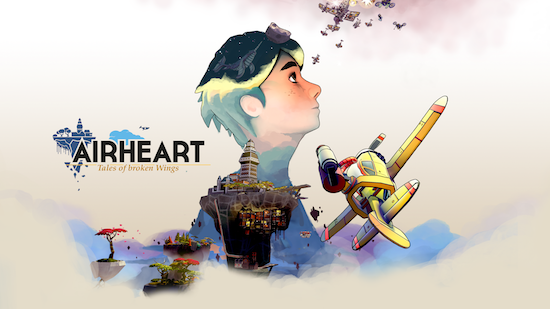 AIRHEART is a stunning diesel-punk action game in which players become Amelia, a young pilot living in the cloud city of Granaria, who wishes to one day reach the world’s edge. 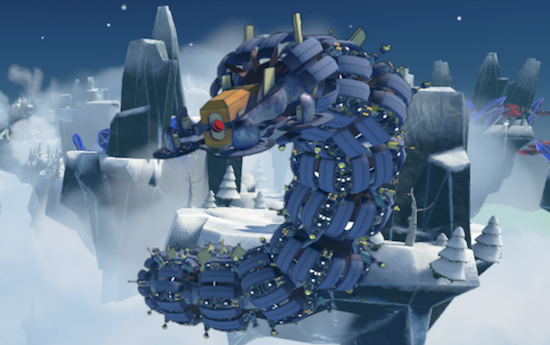 In order to survive and thrive in the floating city, Amelia must take to the air in her customisable plane to go sky fishing, avoiding pirates and many other dangers along the way. Players are free to explore the beautifully vibrant, vertical world above Granaria at their leisure; soaring higher and higher into the sky as they take on rival aircraft using tight, responsive twin-stick controls and an assortment of aero-based abilities. In-between bouts of action, a robust crafting system offers Amelia opportunities to upgrade her highly customisable plane crafting new items from scrap obtained from fallen foes. With over 40 weapons and airplane parts, there are tons of combinations to find your ideal airplane. Funds can also be earned from sky-fishing, but doing so might have a bigger impact on Granaria’s ecosystem as it first might seem. Tough, smart and determined, the character of Amelia, along with the game itself, is a tribute to famed author, adventurer and pioneer Amelia Earhart – on whose July 24th birthday the game will make its console debut. AIRHEART will arrive first on PC and PlayStation 4 on July 24th 2018, followed by launching on further consoles in the coming weeks.